In other words: my latest obsession. Believe me, I’d long given up on the falafel dream, resigning myself to order from the Lebanese lady at the farmer’s market. 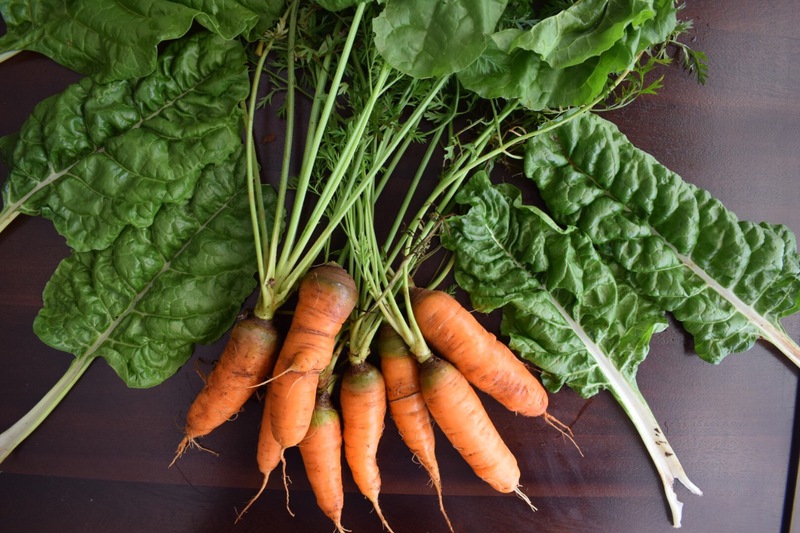 If you’ve read my vegan carrot cake pancakes post then you’ll know about the abundance of home grown produce in my home. Among these vegetables, we have some leafy green spinach hanging around. To put it to good use, I blindly added it to my food processor with some chickpeas and quinoa. And whoa. And I mean WHOA. These beautiful things came around. I’m not exaggerating when I tell you that this is all I ate for a week. I could not believe that they were this good and came from my own kitchen. And now, I’m posting the recipe here so that you too can experience heaven in a bite! 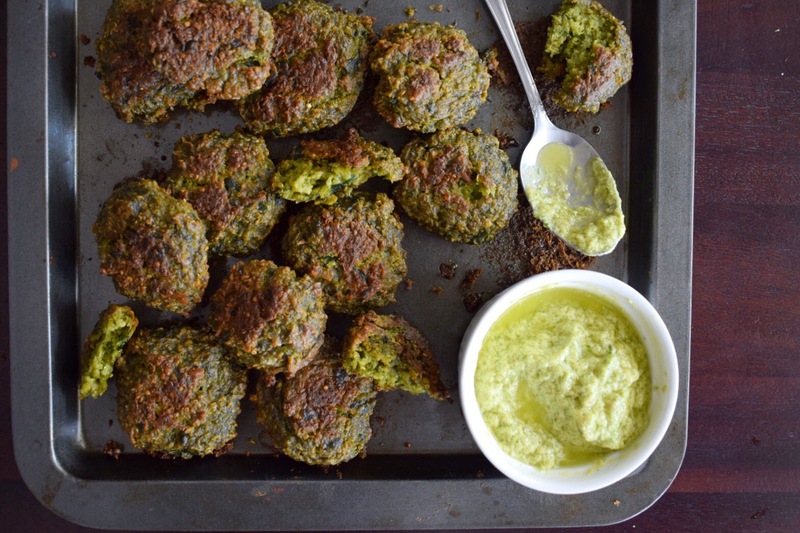 Falafels are traditionally eaten in a pita with cucumber and a yogurt sauce. Today we’re keeping it strictly vegan with an avocado sauce that I will also be posting soon. I didn’t have any pitas on hand, but there was some naan dough that I had frozen, so I whipped up a batch of fresh naan and can I just say, BEST LUNCH EVER. 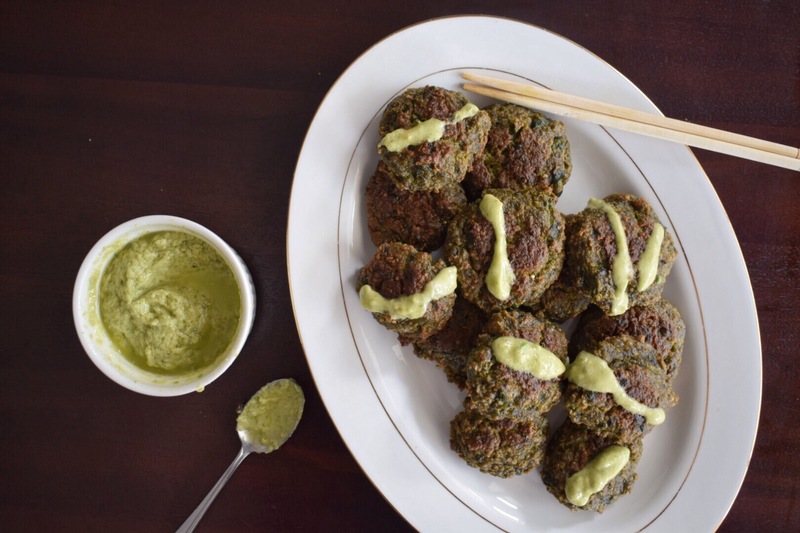 So I encourage you today, reader: go forth and make delicious falafel balls! Start by cooking the quinoa. Add the quinoa to a medium saucepan and cover with a cup of boiling water. Bring the mixture to a boil, then reduce the heat to medium-low and simmer until the water has evaporated, about 15 minutes. Remove the cooked quinoa to a bowl and allow to cool. To a food processor, add the cooked quinoa, chickpeas, spinach and olive oil. Process until combined, about 5 minutes. Remove the vegetable mixture to a large bowl before adding the flour, baking powder, cumin, coriander, cayenne pepper and black pepper. Use a rubber spatula to fold the dry ingredients into the vegetable mixture, stirring carefully to ensure there are no pockets of flour. Lightly grease a 9×13 inch baking pan or line with parchment paper/aluminium foil. Dampen your hands to make it easier to shape the falafel. 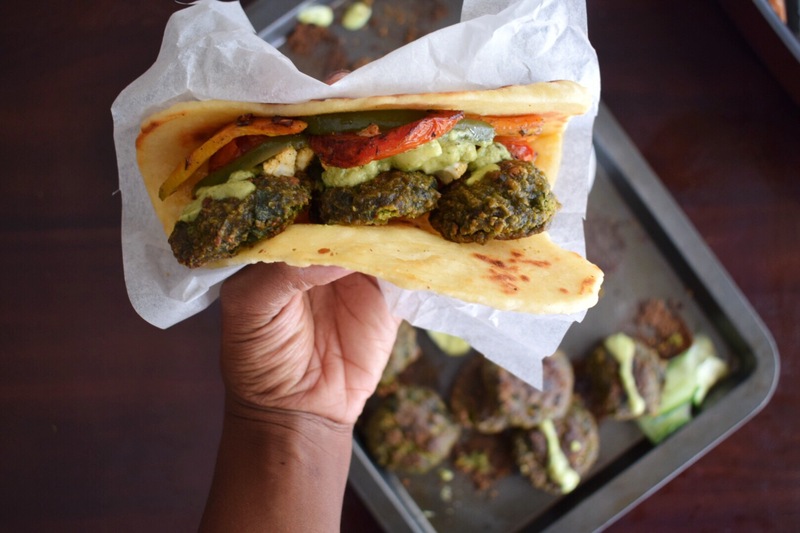 Use a tablespoon to portion out the falafel and use your hands to shape into a sphere before adding to the baking pan. Repeat until you’ve used up all the mixture. If the mixture fails to hold together, add flour 2 tbsp at a time until it does. 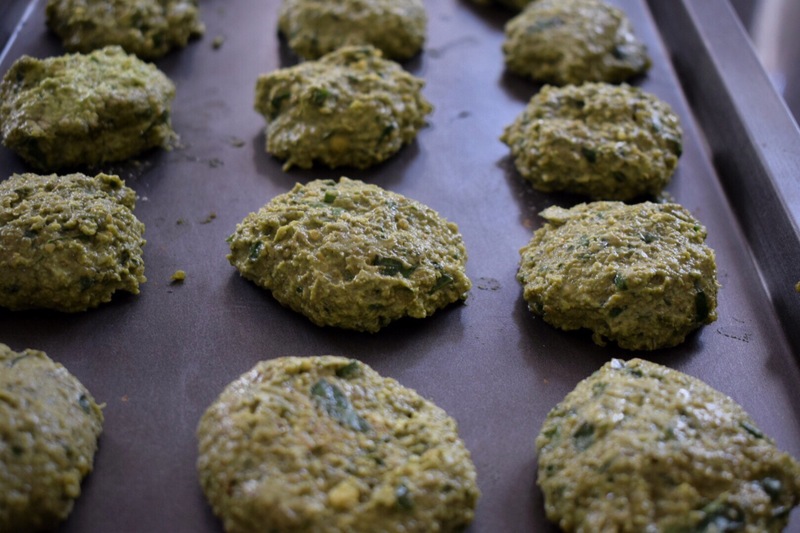 Refrigerate the falafel for 20 minutes whilst you preheat your oven to 180°C/350°F. 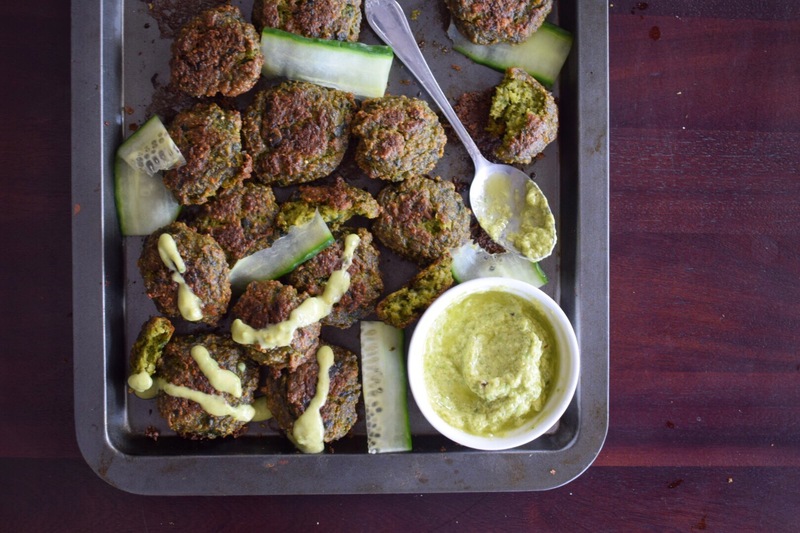 Bake the falafel for 15 minutes before gently turning over and baking for another 10 minutes. Serve warm in a pita with cucumber and tomatoes. Enjoy!